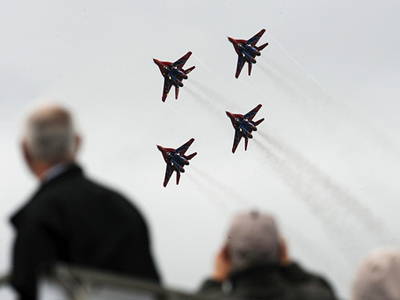 Visitors to the MAKS 2011 air show have been treated to the first public performance of the declassified Sukhoi advanced fifth-generation frontline fighter jet T-50. 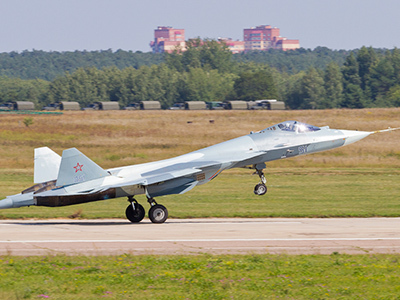 ­The Russian PAK FA stealth fighter aka T-50 is intended to replace the SU-27 fighter and challenge the American F-22 Raptor stealth jet. This long-awaited combat fighter is a Russia-India joint development, with India being Russia's largest export market. 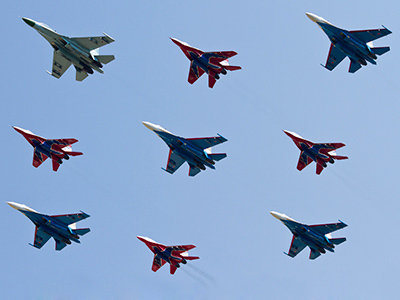 Eventually, Russia wants to equip its air force with up to 200 T-50s. 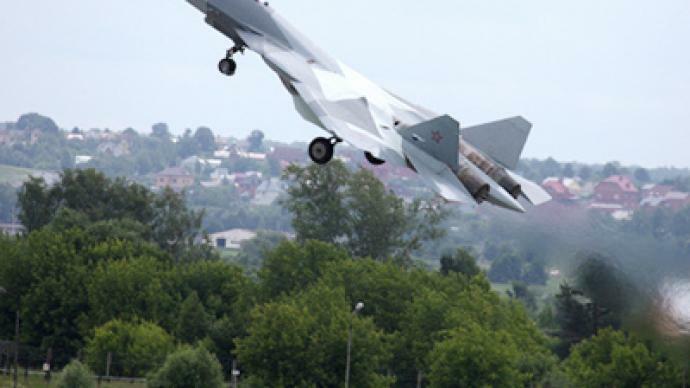 ­When production begins – which could be as early as 2015 – it will become the Russian Air Force's first stealth aircraft, equipped with technology making it almost undetectable to radars. It will also be able to fly at supersonic speeds and pull maneuvers that were impossible for older jets. ­The designers promise the jet will be considerably cheaper than its closest rival – the US-built F-22. United Aircraft Corporation (UAC) plans to build two more flight models of the T-50 jet before the end of the year.